Notice: This is an old thread. The last post was 2434 days ago. If your post is not directly related to this discussion please consider making a new thread. Veterinarians, technicians and wildlife caregivers are often called upon to have expertise in raising infant mammals. This book provides clear guidance to raising and caring for a wide variety of domestic, farm, wildlife, and zoo mammals from birth to weaning. Over thirty veterinary technicians, wildlife specialists, and veterinarians from around the world have contributed their expertise to this useful book that covers over 50 mammalian species. 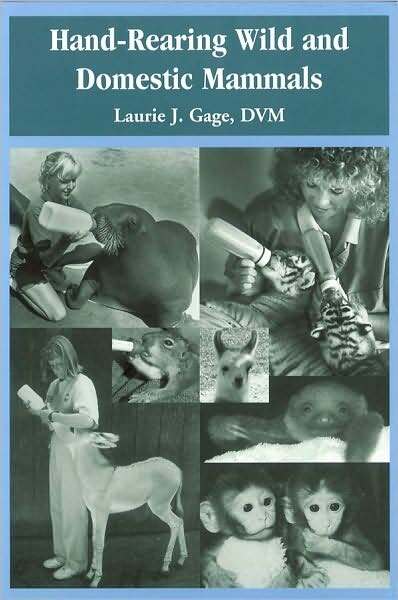 Dr Laurie Gage is well known for her work and expertise in the rearing of seals, sea lions and walruses and has experience in rearing many other mammalian species. Last edited by Motoko; 23rd August 2012 at 08:34 PM. Reason: ADD INFO, IMAGE, DESCRIPTION. TEMPLATE. Parasitic Diseases of Wild Mammals, 2nd ed.